It's a commonly asked question in our water-chugging society: “Is bottled water safe?” Here's what research is saying. Is bottled water safe? 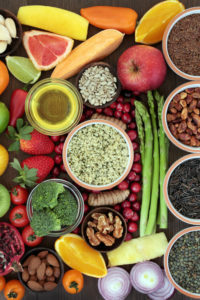 Research is giving it a thumbs-up, although cost and environmental issues keep controversy swirling around this $16 billion industry (U.S., annual). If you Googled “Is bottled water safe?” you likely found yourself inundated with countless sources that say, in a word, “No!” If you read on, however, you’d find that most of the controversy surrounding that question involves not so much the water itself, but the plastic bottles. The American Academy of Family Practitioners (AAFP) site expresses concern that bottled water often does not contain fluoride, or, if it does, it contains insufficient amounts. The AAFP says this is a problem for those consuming nothing but bottled water. For every dollar spent in fluoridation in tap water, according to Centers for Disease Control and Prevention (CDC), $38 is saved in dental costs. 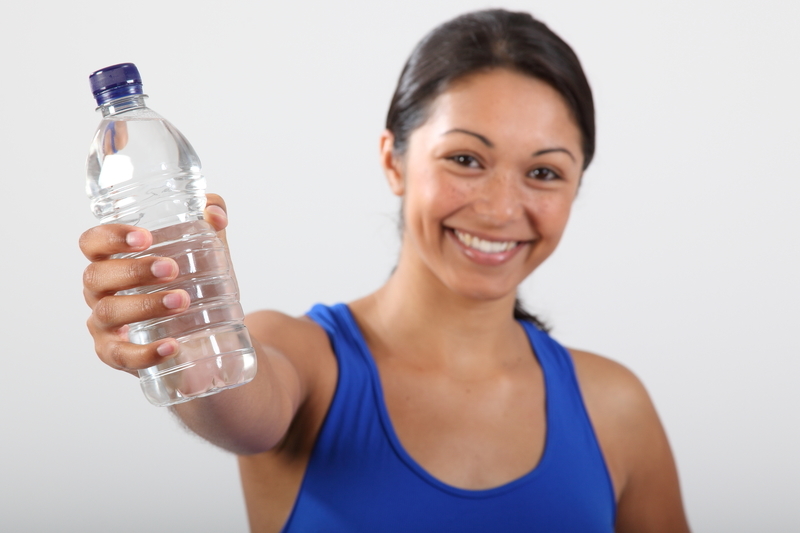 As such the AAFP recommends that if a person drinks mostly bottled water, he or she should try to consume at least a small amount of fluoridated water daily to keep healthy teeth. Federal guidelines for bottled water began in 1973, based on drinking water standards from 1962. In 1974, the Safe Drinking Water Act turned the development of water standards over to the EPA, with the FDA ensuring that bottling companies follow the rules for water purity and safety. The FDA inspects manufacturing plants to see that they follow current good standards of manufacturing—rules that apply to all manufacturers of bottled water. To ensure adherence, water must be “sampled, analyzed, and found to be safe and sanitary.” Some states require water bottle plants to be inspected annually. IS BOTTLED WATER ACTUALLY FROM THE TAP? When considering the question “Is bottled water safe?” keep in mind this great irony: The water you’re paying to get in bottles may actually be tap water, according to Food & Water Watch, a D.C.-based non-government activist group, and it’s not cheap. In a report issued in February 2018, Food & Water Watch cited research showing that 64 percent of bottled water comes from municipal tap water sources. Much of the hullabaloo concerning bottled water safety concerns the bottles themselves. It goes without saying that non-recycled plastic is not good for the environment, which is why there are so many strong recycling efforts going on, including a bottle-return fee in some states. You pay an additional amount, typically around 5 cents per bottle, which is returned to you when you return the bottle. Unfortunately, that amount may not be high enough, as roads and other areas are still littered with plastic bottles. An anti-bottle article posted at EcoWatch complained that the bottled water industry “wastes water.” “In 2013, the International Bottled Water Association, an industry trade group, commissioned the first-ever study to determine how much water is required to produce one liter of bottled water. It found that North American water bottling firms use 1.39 liters to make one liter of water,” according to Ecowatch. The group would like people to begin toting tap water in reusable containers and stop manufactured bottled waters. Other groups complain that the plastic itself leaches harmful chemicals into the water. And, while that was true two decades ago when plastic bottles were made of different materials, it’s no longer the case. A 2014 study in Spain agrees that bottled water is safe: Bottled “is practically free of constituents given off by plastic packaging or glass bottle lids.” The study revealed that today’s polyethylene terephthalate (PET) plastic bottles with a high-density polyethene lid have low levels of plasticisers (solvents to make the plastic more flexible). Many articles say that the problem with plastic-leaching hazards occur when water bottles heat up, and a 2014 study published in Environmental Pollution from the University of Florida Institute of Food and Agricultural Sciences did find that plastic water bottles made from PET can release the chemicals antimony (a carcinogen) and bisphenol A (BPA). BPA is a known endocrine disruptor that can cause issues like fertility problems and heart disease. So, soil and water science professor Lena Ma led a research team that studied chemicals released in 16 brands of bottled water kept at 158°F for four weeks, which researchers deemed a “worst-case scenario” for human consumption. Ultimately, research points to a conclusion that bottled water is safe. The EPA and the FDA are on our side. Should we buy bottled water instead of tap water? That’s a personal question that depends upon your source of water. If it’s from a well, you should do routine testing of water quality and safety. If it’s municipal, it should be safe, as the EPA monitors quality. Accidents do happen however, as was the case in Flint, Mich., where dangerous lead levels were found in the tap water in 2014. The town has been providing free bottled water to residents since 2016 but, according to the New York Times, the town closed down bottled water distribution centers, as quality water now is restored to the community. antimicrobial, bpa, bpa free, coffee, dates, dehydration, feel tired, feel tired all the time, fertility, fluoride, food, food safety, health, health problems, heart disease, how much water to drink, i feel tired all the time, is bottled water safe, is tupperware bpa free, milk, report, tired, tired all the time, tupperware bpa, tupperware bpa free, wine. I really appreciate your tip on how bottled water is virtually free from contaminants that might come from the plastic bottle. My wife and I have been thinking of getting some food storage in our house, and we have been thinking of getting bottled water. I will be sure to tell my wife that bottled water will be completely safe for us to use! I thought you might be interested in this article on https://universityhealthnews.com: Is Bottled Water Safe?